This is the next entry in Best Album Covers, a series begun right here. 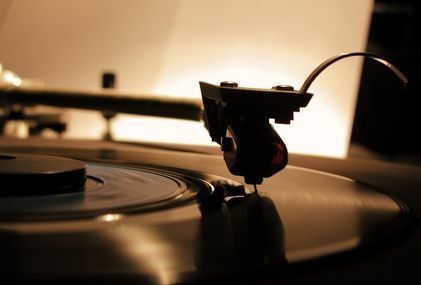 As has been noted, the first successful long-playing microgroove record for the phonograph was introduced by Columbia Records back in June of 1948. However, album covers (the paper board packaging that held them) didn’t come into their own graphically till decades later. Eventually, they became a cultural stamp on the music of the time. First catching the eyes of potential record-buyers and later melding the musical and audio experience with the artist into a distinct visual form. Hear the song, envision the album cover. While the move away from vinyl to Compact Disc for music labels arrived with the 80s, cover art carried over with lesser effect by dint of digital. Don’t get wrong, album artwork continues to be noticed and discussed among the material published. Old and new. Just not with the same impact as it once did. Culprits? The size reduction of the artwork, for one — 12″ LP versus a 120mm optical disc represented quite a shrinkage. Plus, the plastic of the initial CD jewel cases, and the paper sliver that now was the art insert, kept any appreciation and connection to a tactile minimum. Believe me, it just was not the same, folks. If you still have old LPs stashed away somewhere, you’ll know what I mean. Hell, you could frame some of the old LPs up on a wall and continue to value the graphic artistry represented there on one’s own. And I know a few people over the years who did exactly that. Hence the reason for this series. Some albums register more with me musically than others, though. I’ll be honest, some I just don’t identify lyrically with at all. Yet, the artwork will always take center stage, at least here. Let’s continue shall we? I once had friends who swore this 1973 album was the best. Me, not so much. While I appreciated the ‘progressive rock’ Emerson, Lake, and Palmer had going, it never really reached me. Outside of their splendid From the Beginning track, out the previous year with their Trilogy album, I was never really into this group. Now, the Brain Salad Surgery album cover was another story. Graphically, nothing approached the look of it back then. Nonpareil being a word and a half. Sure, many will instantly pick up on the fact the cover was unmistakably the product of H.R. Giger‘s now famous monochromatic biomechanical style of artwork. That’s because we’re all on the other side of 1979 and the effect of Ridley Scott’s Alien. The cultural influence made by the Swiss surrealist painter and sculptor on set and in creature design made him almost a household name. But back then, in ’73, few had laid their eyes on the surreal imagery and destabilizing objects this guy could fabricate. Add to this, ELP’s album was deployed with a die cut cover. The process of which actually referred to the sleeve, as opposed to the album itself. Listeners could look through the windows/leafs cut out on the cover and reveal another image printed on the inside of the sleeve (as depicted here). Otherworldly iconography and layout to say the least. 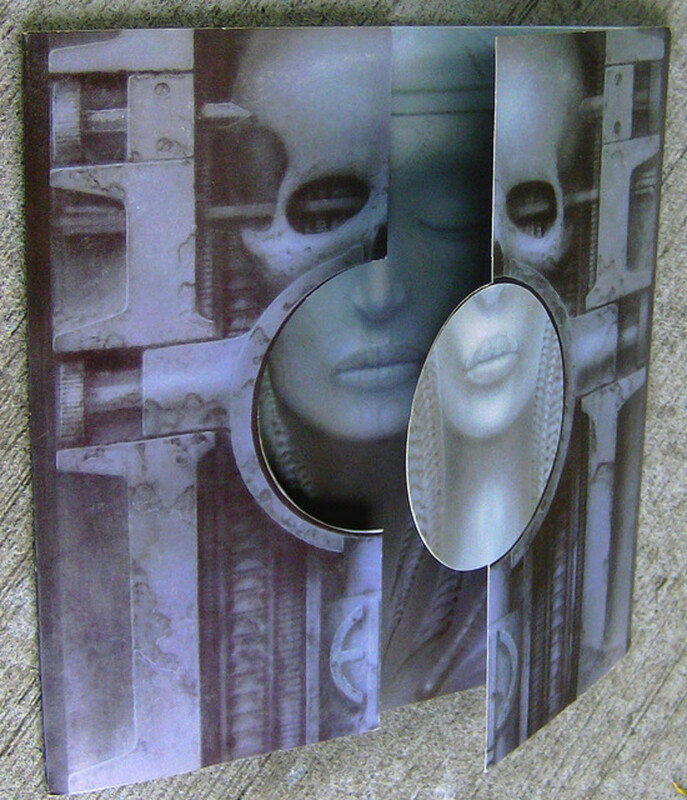 While I could tolerate listening to the LP for short bits while visiting friends, the album cover with “Giger’s singular, sexualized cyborgs” gathered my eyes, preoccupied my mind, and got into my head like few others before. I haven’t heard the album but that it is a pretty cool cover. Yeah, this was pretty unique. It certainly gathered the eyes. Thanks, ckckred. I’m no ELP fan, but for me this was their most listenable record. “Benny the Bouncer” was one of the few times they revealed something like a sense of humor, and I remain fond of their version of “Jerusalem.” Very hip of them to use Giger at that time. It may well be, Steven. As I wrote this, I re-listened to all of the track via YouTube. Good to have your thoughts on this, my friend. Thanks. ELP’s best works were ‘Karn Evil #9’ and ‘Lucky Man’. I’d completely forgotten this very cool looking album cover. I need to listen to ‘Lucky Man’, again. Thanks, Kevin. I’ve never heard this record, and I’m not sure I’d like it, but I agree completely about record covers! You can get special frames sized for them and we have some of them on our walls because they really are an art form and the good ones are masterpieces. I still download based on artwork sometimes…although this could just be a peculiarity of graphic designers. I seem to recall those frames. Care to take a picture of those album you have up on the wall? I’d be interested, Paula. Thanks. Great cover… and you’re right about the way it’s just not the same with CDs. I’m an 80s kid, so I grew up in the flux period… I know there are some albums released in that period that were on LP, cassette and CD simultaneously… the art is always best on LP. Biggest, boldest. Digital MP3s have restored the size in some cases… but they’ll never replace the tactile aspects. Something like this, with the die-cut artwork, or Sticky Fingers and its infamous zipper, just can’t be done anymore. Great observation, Morgan! Oh, Hell yes regarding what happened to album cover art when shrunk to fit a compact cassette. A true travesty. Ah, ‘Sticky Fingers’ and that infamous zipper. Good choice, my friend. Thanks, Morgan. Thanks, mummbles. What’s next won’t be so striking, but it was influential.